Setting goals is always important. Please take some time to look at all the projects in your life and decide on specific goals that you want to achieve for them. 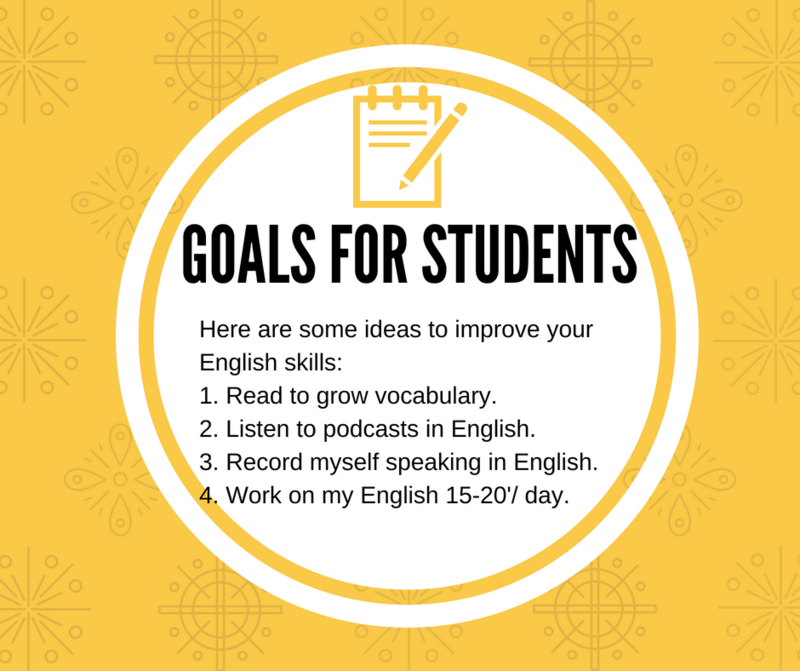 To help you with your English skills, here are some suggested goals you might like to follow. Even if you don’t like these goals, hopefully they will give you ideas about how to set your own. Do you have goals for growing your English skills? Please write them down below.